The most widely used material for construction of dwelling, industrial and mining structures is Concrete. With wise change in ingredients it shows wide range of changes in its properties. But steel is also a widely accepted materials and from very ancient times it has been using in different purposes. We also take help of steel structures even in concrete construction both as permanent or temporary purposes. In water logged site or different offshore construction and drilling, the use steel for different purposes are very usual and essential. Due to advantage of prefabrication, like long span beam and pipes, it is adopted in almost all construction conducted above and under water. We have discussed piling, drilling work in our many posts which also include application of steel. With the advantage of prefabrication, it saves times of construction. Steel is stronger than concrete both under compression and tension loading but have much susceptibility to deterioration especially under such hostile environment. So designers are choosing concrete instead of steel considering durability. 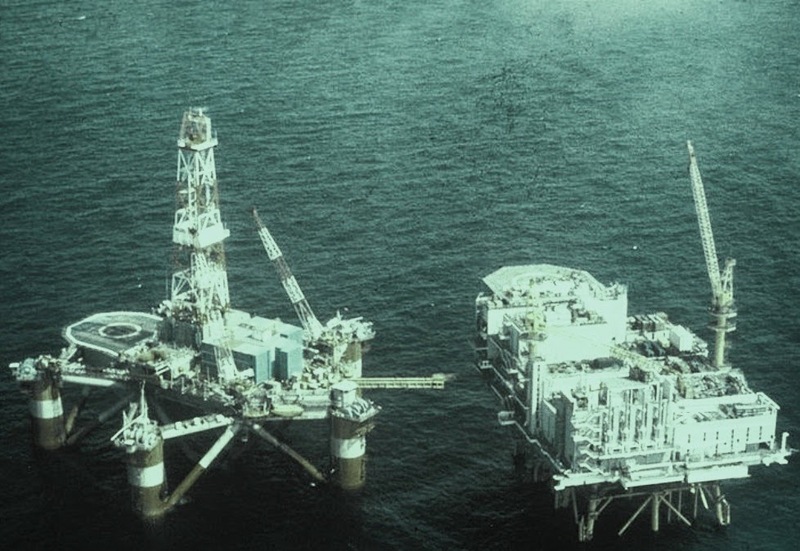 This fact was notices in 1980; platform constructed with steel for oil drilling purpose failed suddenly at Stavanger coast (North Sea) which took 123 lives. This followed by another failure of such platform near Newfoundland, Norway which also cost 64 lives. This sudden failures all over the world resulted casualties, economic losses and also interruption of services. Therefore concrete was chosen to flight against hostile environment due to ease of modification of its properties with some simple and wise techniques.